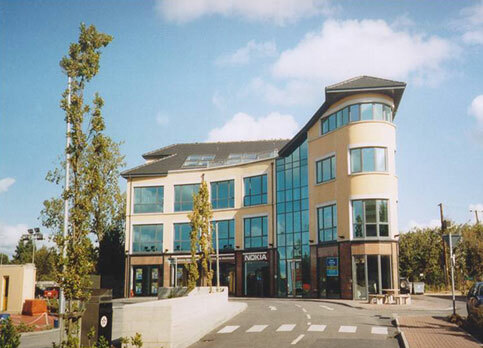 This 3 storey office and retail development at the N6 centre on the Dublin Road, Athlone, comprises approximately 1100 sq m of office space over 400 sq m of retail space. The substructure consists of shallow reinforced concrete pad and strip footings, while the main superstructure is a reinforced concrete frame with precast prestressed hollowcore units. One of the main features of the elevations is the curved façade. The 40m long curved reinforced concrete beams, which are 215mm wide, were produced through a combination of special attention to the steel detailing and very careful monitoring of the setting out.